It’s June and summer vacations are coming up quick! Have you taken the time to plan out your summer vacation budget? 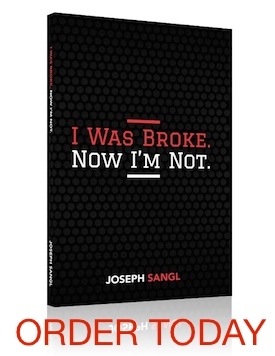 If not, take a couple minutes to utilize our Mini-Budget tool that can be found HERE on our wildly popular website I Was Broke. Now I’m Not. Our Mini-Budget is similar to our regular monthly and bi-monthly budgeting tools in that your INCOME – OUTGO = EXACTLY ZERO. You should plan your vacation spending and keep from coming home to a nice credit card bill. Let’s say you were diligent with your saving this year and have put away $3,000 to use on vacations. 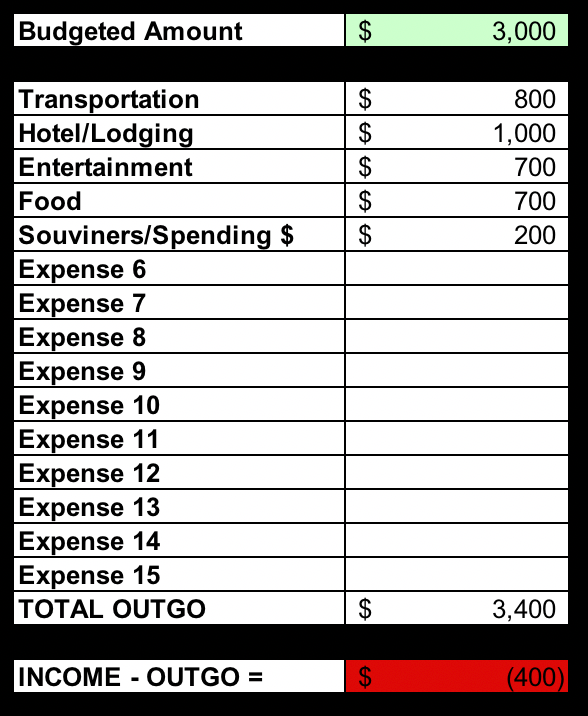 You would enter that amount on the “Budgeted Amount” line in the first column. You’ll notice that once you do that, the INCOME – OUTGO = $3,000 and is highlighted YELLOW. This will change as you enter your expected expenses. 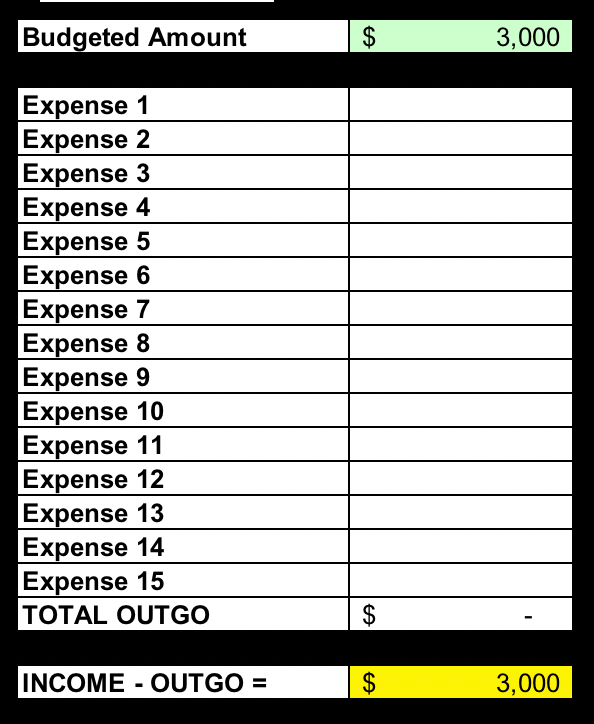 Enter all of your expected expenses into the template and once you’ve “spent” the budgeted $3,000, the INCOME – OUTGO = EXACTLY ZERO and turn GREEN. Now that you’ve spent your money on paper first, you can adjust your planned spending in order to maximize your vacation. One of the great features of the Mini-Budget is that it allows you to plan out different scenarios for your vacation. You can use the second and third column to tweak your budget and decide what is the most important to you and your family. Maybe you’re willing to sacrifice some of your dining out in order to have more entertainment money. Or maybe you want to fly somewhere instead of drive so you’re okay with not having as much spending money. The economic term for this is opportunity cost. Once you have spent money on entertainment, you forfeit the opportunity to spend this money elsewhere. Lastly, the tool can prevent you from overspending. When your income and outgo balance, the cell highlights green. When you still have money to spend the cell highlights yellow. But, what happens if your outgo exceeds your budgeted amount? You guessed it, the cell will highlight red which means you will need to re-evaluate your budget before you take your vacation in order to avoid using other savings or a credit card. Now that you’ve spent your vacation budget on paper first, there is nothing else to do besides pack and enjoy your summer vacation guilt-free.